The earliest records of this estate go back to the year 1793.This gorgeous property was part of Lady Adelina Ruggeri De' Capobianchi's dowry when she married the illustrious Raffaele Castorani, who's fame came from his years as a teacher at the Sorbonne in Paris and mostly from the development of the first cataract eye surgery. 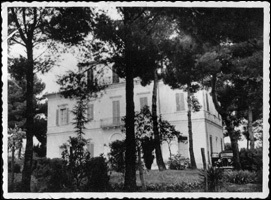 Ever since, the estate has been known as Villa Castorani. Later, another famous person acquired the estate, Antonio Casulli, born in Sardinia. Later, he became an International Law professor at the University of Naples, and went on to teach in Tokyo where he even earned the respect of the emperor Hirohito. It was during this time that the estate of Villa Castorani really developed with the acquisition of over 490 acres of cultivated land. After Casulli's death, the entire estate was divided, and thus began its decline. 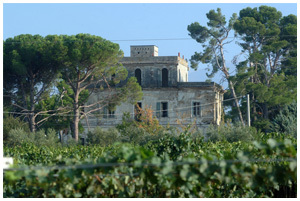 The Villa was abandoned and it seemed like all the wine making traditions were lost. The decline continued for many years, until 1999, when the estate's history and luster of yore were brought back to life thanks to the tenacious will of a group of friends, now business partners in the company. Each member personally supervises all the phases required for wine production: from the loving cultivation of the grapes, to the very careful harvest, the vinification, the promotion and the commercialization of the products. The absolute obstinacy, typical of the people from the Abruzzi region, the respect for the traditions and mostly the uncompromising pursuit of the best products, give Villa Castorani's wines the best character obtainable. The bottles of wine from the estate tell a beautiful story of passion, tradition and quality. Villa Castorani lies in an ideal setting: in the municipality of Alanno, in the province of Pescara, between the Majella national park and the nearby Adriatic sea. Sitting at 350 meters above sea level, it enjoys ideal sun exposure and night winds, and consequently, great thermal range. All of it gives the wines their unique and precious character. Today, like in the past, everything rotates around the beautiful Villa Castorani. The estate now sits on 75 acres of luxuriant and uncontaminated countryside. The grapes cultivated here are mostly red Montepulciano d'Abruzzo and whites Trebbiano d'Abruzzo, Malvasia, Cococciola, Pecorino and Passerina. There is also an area where new experimental varietals are tested. The average age of the vineyards is over 30 years. All the area is cultivated following strict organic guidelines: neither chemical pesticides nor fertilizers are used.